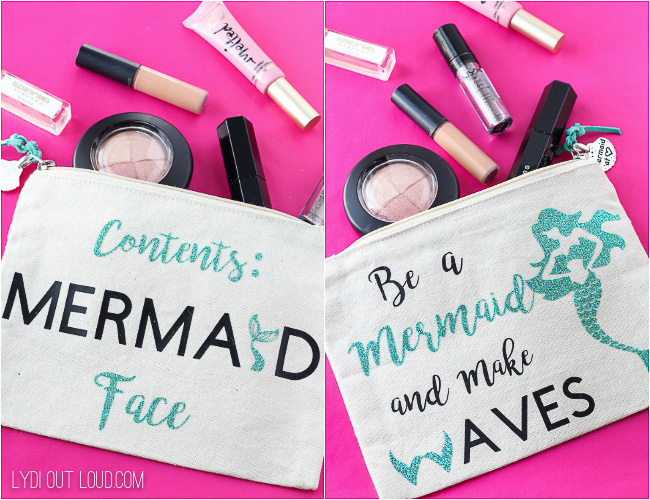 Choose the design for your makeup bag and create it in Cricut Design Space or other cutting machine software. If you use a Cricut and would like to use this design, you can find it here. Cut out the design with iron-on vinyl. 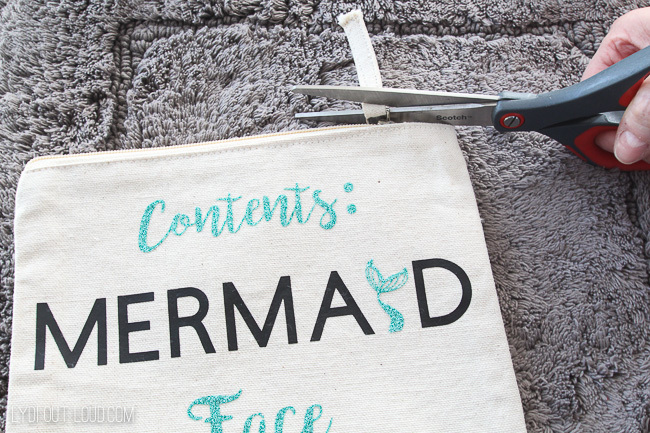 Remember to flip the text and place the shiny side of the iron-on material face down on the cutting mat. 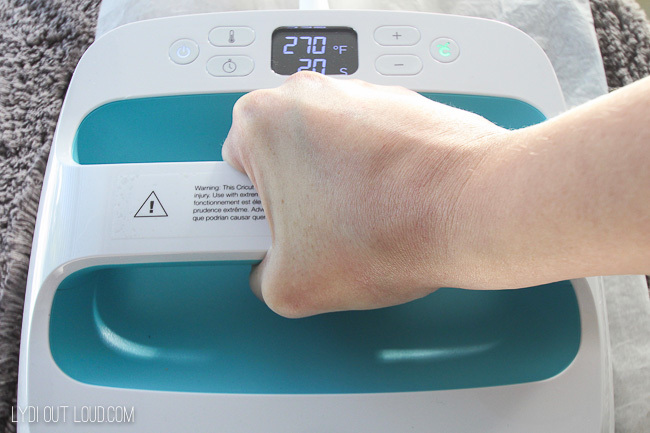 Weed out the negative material from the iron-on vinyl with a weeder tool. 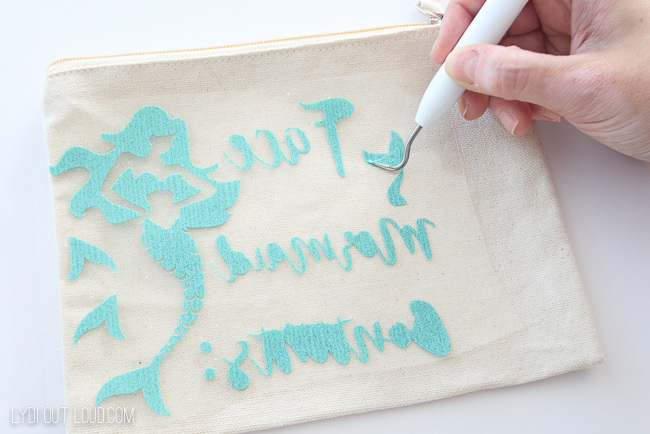 Position the iron-on designs onto the makeup bag, place parchment paper or press cloth over design and press for 20 – 30 seconds. 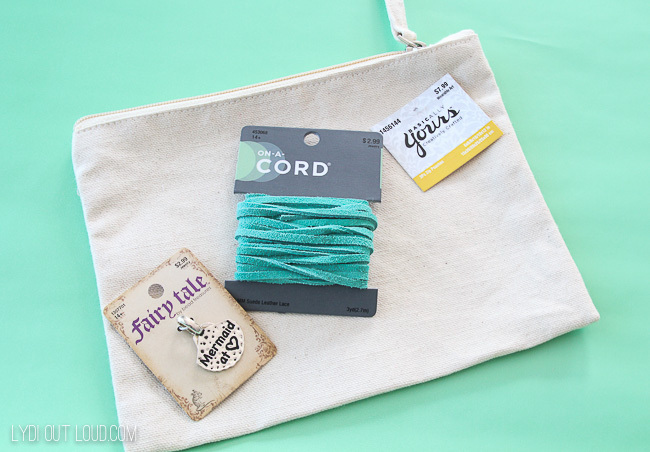 Cut off the canvas zipper pull from the makeup bag and thread the suede cord through the zipper pull, leaving equal lengths on each end. Thread the charm onto the cord. Tie several knots moving down the length of the suede cord. I’m not sure which side is my favorite, they’re both pretty cute, don’t you think? 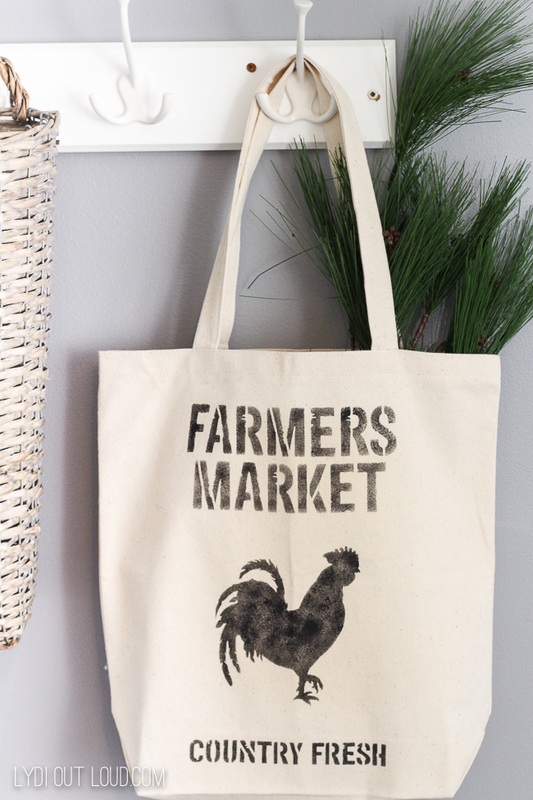 Who all can you think of that’s on your holiday gift list that you could make a bag for? 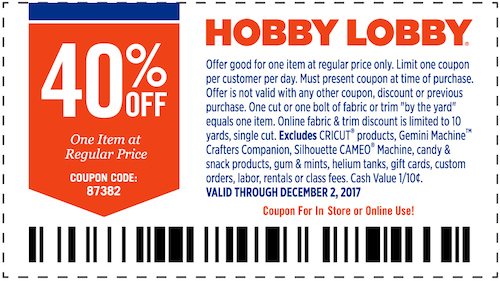 When you go to Hobby Lobby for the supplies, here’s a 40% off coupon for you to use. 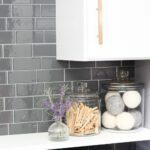 You can also get the weekly 40% off coupon on the Hobby Lobby app. Which of these bags would you like to receive? 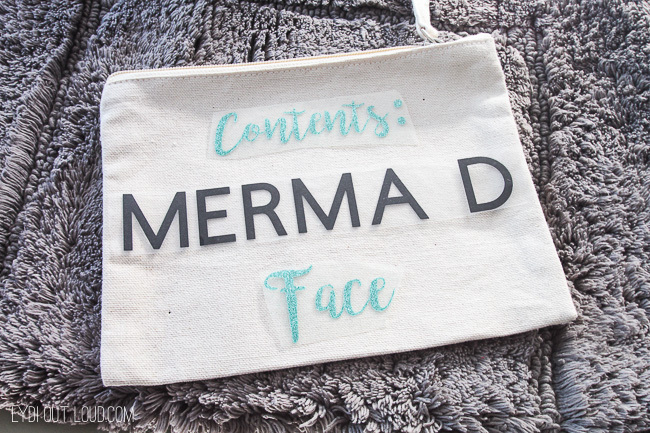 Team Farmer’s Market DIY Tote Bag or Team Mermaid DIY Makeup Bag? 😉 Have a great rest of your day my friends! 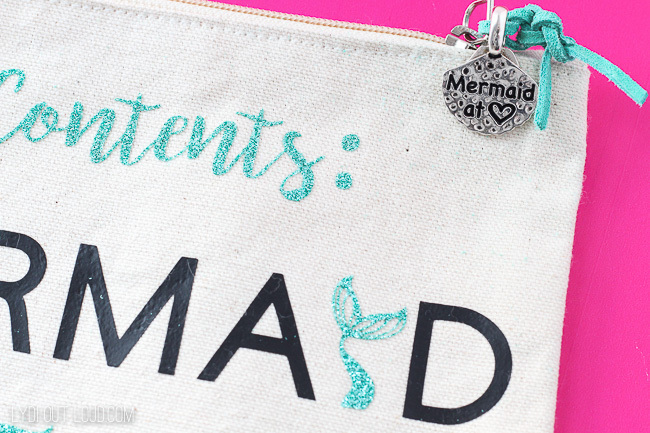 Team mermaid all the way! Go mermaids! 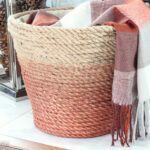 I’m going to make a pineapple bag and a coconut bag for my vacation to Aruba! They will be perfect for the beach and some pina colada action! Team Pina Colada!! That all sounds like so much fun! Have fun in Aruba! We went there for my birthday last year and it’s my favorite place I’ve ever been! Love the tote bag!! I need to make one for myself.